Lifestart has 30 years’ experience in delivering a low cost, high quality programme for parents and this is how it all began…. The Lifestart programme began life in 1986 in two very different communities in Ireland: Oiliunt Baile – an early year’s project in an economically underdeveloped rural community in Connemara on the west coast of Ireland, and Ballymagroarty – a Family Support project in an economically and socially deprived community in Derry/Londonderry, Northern Ireland. 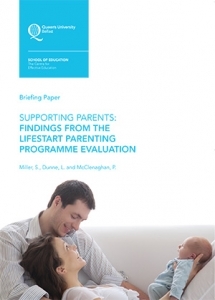 While researching parenting programmes in the United States, Dr Sean O’Connor received a copy of the ‘Growing Child’ programme – a programme devised by a parent and developed by a group of academics and child development experts at the University of Purdue, Indiana. Intrigued by the concept of a month-by-month package of information for parents on the development of their child he brought the programme back to Ireland and it was adapted it for delivery to parents in their own homes. In 1996 the Lifestart Foundation Head Office was established in Derry/Londonderry (Northern Ireland) and is currently responsible for the development of the Lifestart programme and service both in Ireland and internationally. Its primary role is to promote, support, train and quality assure all Lifestart service providers to ensure that delivery of the programmes is to the highest possible standards and the programme is implemented with fidelity to the Lifestart logic model. The Foundation campaigns vigorously locally, nationally, and across Europe to raise awareness of the importance of parenting and the home-learning environment in shaping child development outcomes. We strongly advocate the socio-economic value of prevention and early intervention in supporting parenting practice that ensures good outcomes for children and promotion of children’s rights. 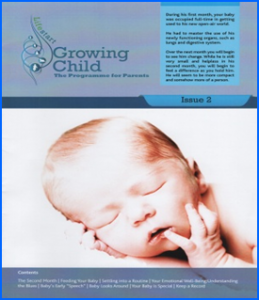 By 2012 the old Growing Child issues were looking a little tired and dated so, as part of the regular review of the programme, 2012 brought a full colour make-over. The programme materials were completely redesigned and given an ultra-modern look making it not only more attractive, but culturally relevant for today’s contemporary parents. In December 2014 we saw the end of our eight year longitudinal randomised controlled trial (RCT). We are delighted (but not surprised!) that our results have been extremely positive and it has been proven that the Lifestart Growing Child programme makes a difference in both parents and children’s lives. We are extremely grateful to all 425 families who took part in the study every month for five years.